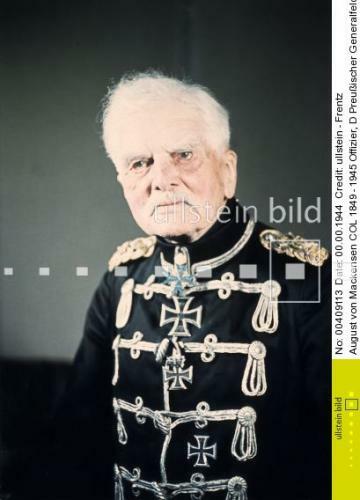 as anybody got some information with regards: Generalfeldmarschall August von Mackensen, Medals and awards? 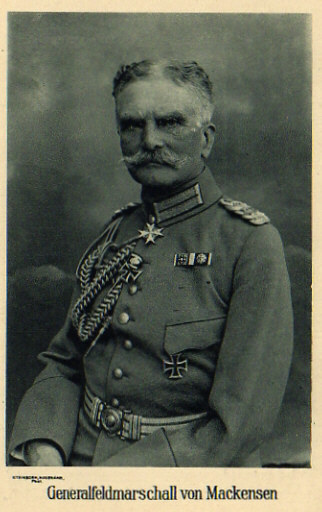 2nd Class Iron Cross - October 1870. 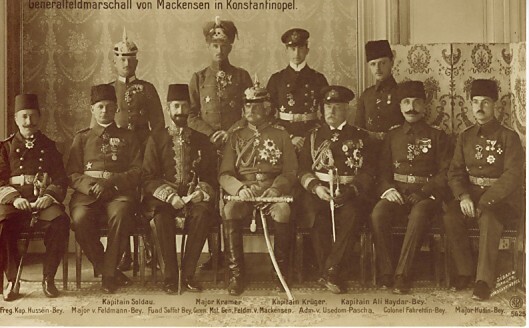 Order of the Black Eagle - some say 1910, others c.1916. Pour le Merite - 1914. 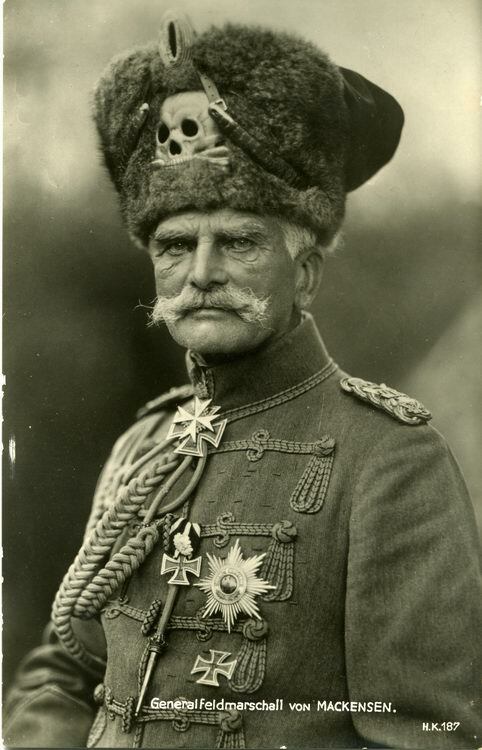 Knight's Cross of the Iron Cross - 1917. LoL, you do not really believe these are all, hum? Great photos! 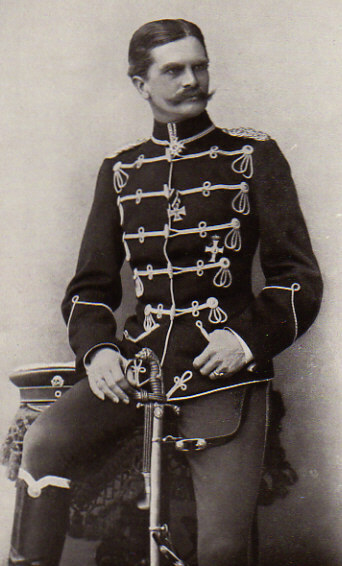 Is that a collar to the Hohenzollern House Order? Amonst otherthings? That is one awesome hat! Forget about using "Sports Stars" for advertising your products. 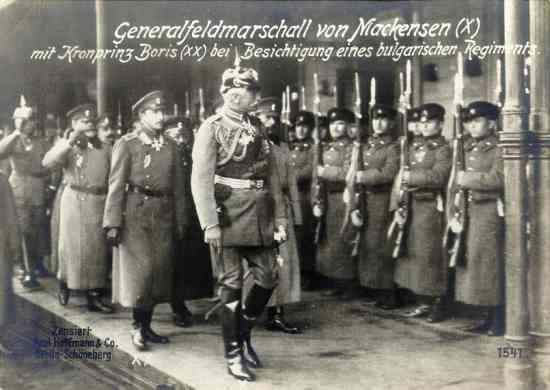 The original way was to use a real dyed in the wool Field-Marschal to endorse your products instead. He's not selling soap by any chance! I'm sure there's more. That's just from the lists I have. Dang . . . you beat me to it! Wow!!! So many GREAT pictures of this individual!!! Gents, Thanks for posting them!!! 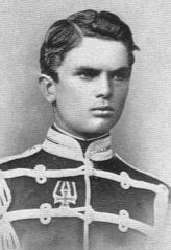 I believe this shows him at a very early age, post 1870-71 with his EK2 for 1870. 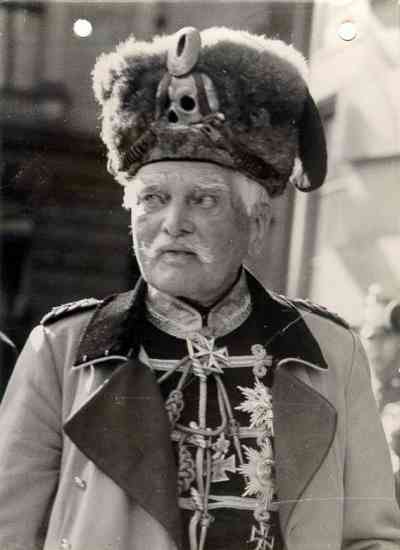 Is it possible that the picture in Post #5 was taken at Kaiser Wilhelm's funeral? 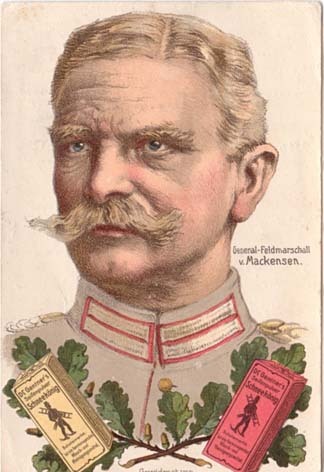 von Mackensen was a big supporter an monarchist and I have read he attended in full uniform. 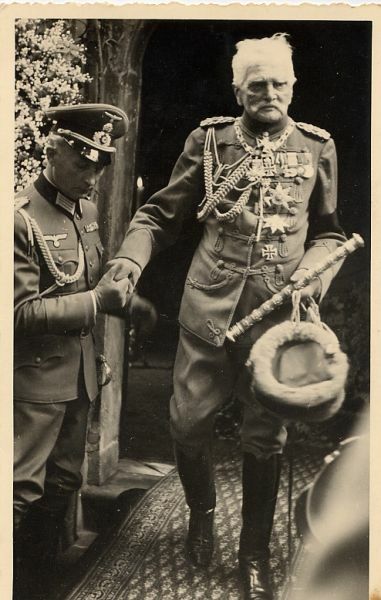 He seems to have the same position of esteem as a von Richthofen, and Rommel. 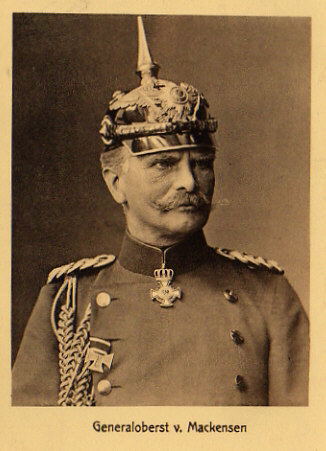 Is it possible that the picture in Post #5 was taken at Kaiser Wilhelm's funeral? That was indeed proposed in the original thread. Ah, I never saw the original thread.